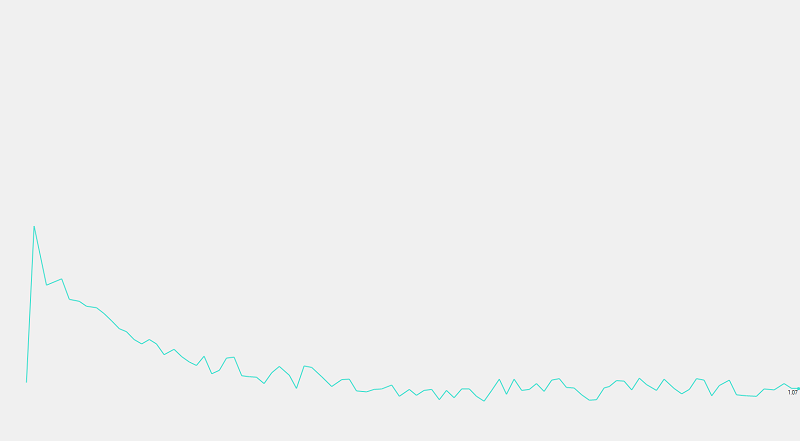 Here is a simple comparative analysis between device monitor data logging and an actual oscillogram. 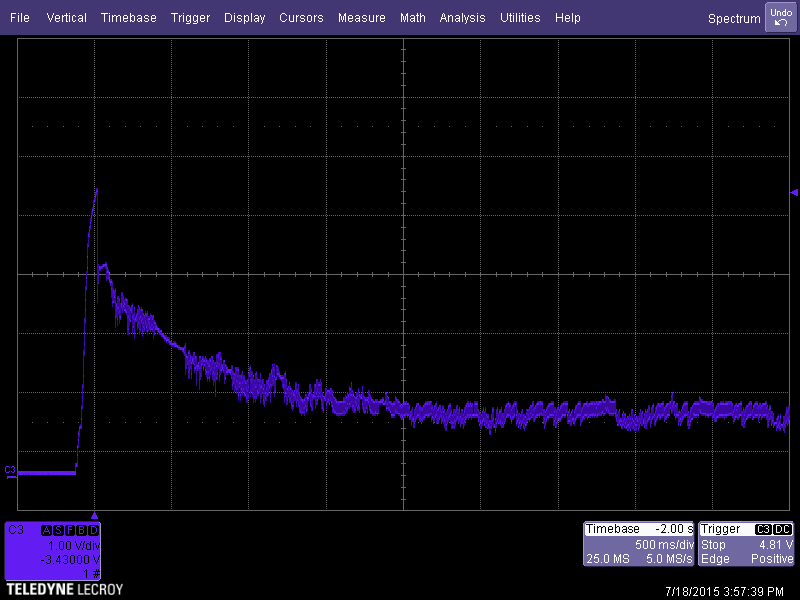 The scope input is smoothed over 5 sweeps, sin x/x interpolation, and bandwidth limited to 20mHZ. 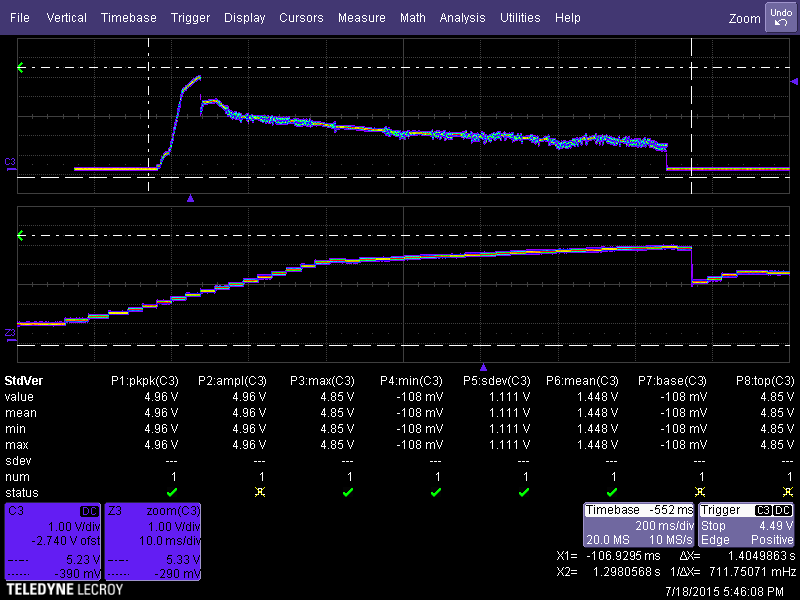 The function measured is simple voltage.....honestly not too bad for a consumer device. I wish there was some documentation on device monitors acquisition parameters (especially polling rate and how much smoothing is applied to the curve). No smoothing is applied to the curve. It returns the measurement at the time it receives the command. As far as polling rate, the less things that are checked, the more samples you'll get for what is checked -- it queries checked items round-robin as fast as it can. Presently, as an implementation detail (threading-related), it updates a bit faster if the window is smaller. 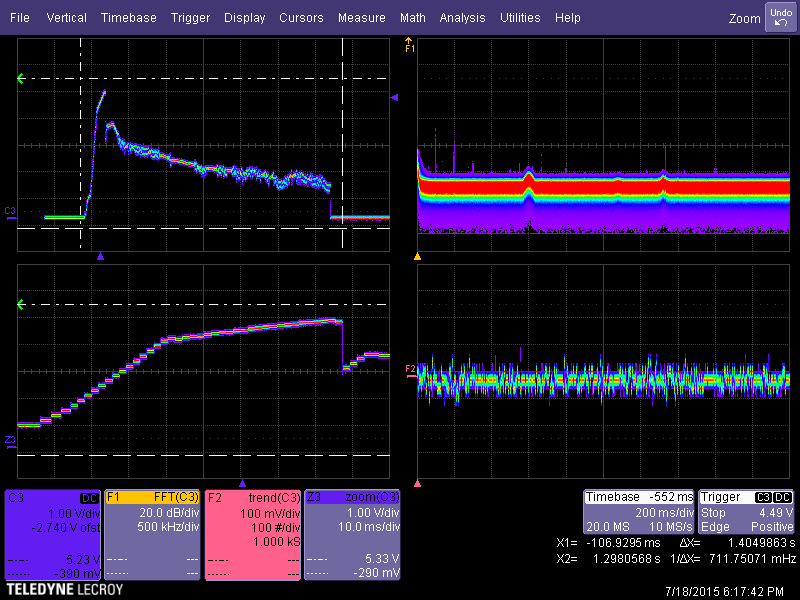 The most interesting thing I noticed was the difference in ramp-up in the curves....I am going to assume the softer knee in the scope waveform is due to the input capacitance of the scope.....the probe is only 1.8pF.